You can pack with it and pop it. Turns out you can paint with it, too. 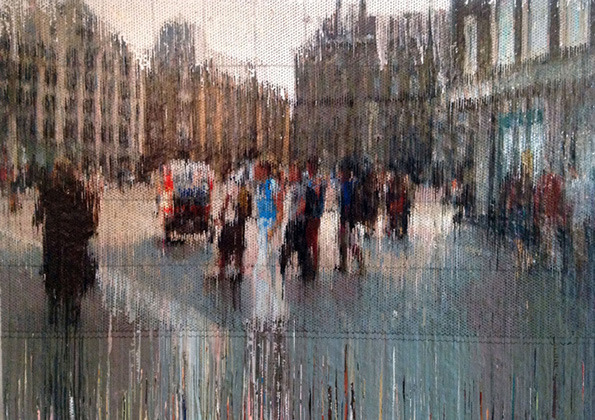 Canadian artist Bradley Hart has made two complementary series of paintings using bubble wrap. To begin, he maps out his painting and then injects each bubble with paint, filling it completely. The result is the grainy images you see below, which Hart describes as a play on the ubiquity of digital pixels in our lives. Hart, whose work ends a month-long run at gallery nine5 in New York today, calls this series "Injections." 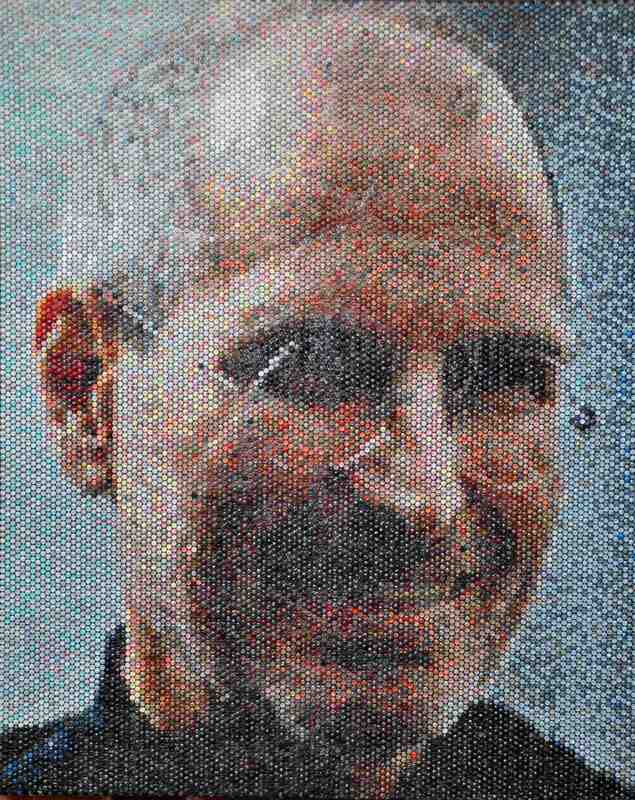 Each injection also produces a corresponding artwork in a series called "Impressions": A precisely measured amount of paint overflows out of each bubble onto a sheet, which Hart peels away to produce a negative image of the injected artwork. 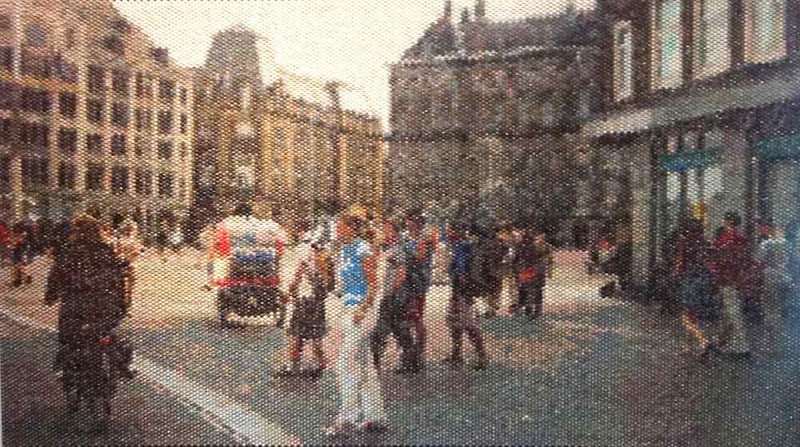 For example, the second image, below, of Dam Square in Amsterdam, is an injection and the third image is its corresponding impression. The two paintings create opposing effects in the viewer: The injection is exact and almost lifeless, like a low-res GIF, while the impression has a more immediately negative emotional quality that suggest rupture or disintegration. Images courtesy of Bradley Hart and gallerynine5.